NYC day 19 – Walking in Manhattan at night. Sooo… I’ve got to catch up with my blogging for my last week in New York. The reason I’ve not posted much isn’t because I didn’t do much, it’s because I did so much I didn’t have time to sort through the photos and to write about them. Now I’m on a cruise ship I have that time. On Monday the 20th I recorded a podcast interview with a musician called Nat Osborn (see earlier blog posts) and then I finished off my walk down Manhattan. 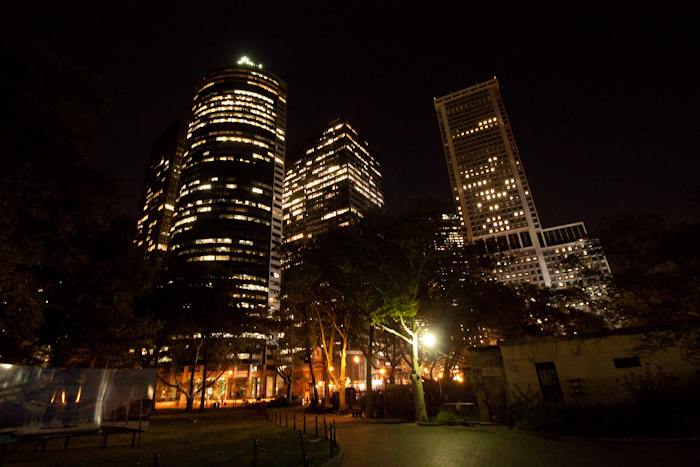 Here is the view at Battery Park, just beyond the end of Broadway. 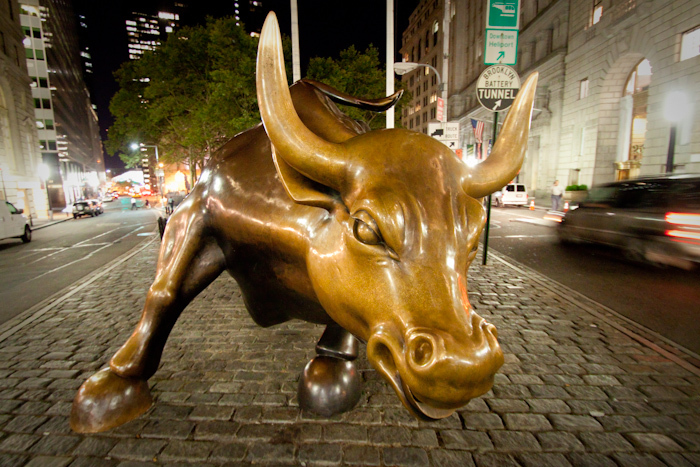 The Bull in the financial district. I think this has something to do with “Bull Markets”. Actually, I’ve no idea what it’s meant to represent, but it looks awesome. I waited a long time for a car to drive in both directions, to get more motion in the shot, but it was pretty late at night by then. I took the subway back up to Times Square to get some video of me juggling in front of the video screens and signs. I’ll share that video at some point. 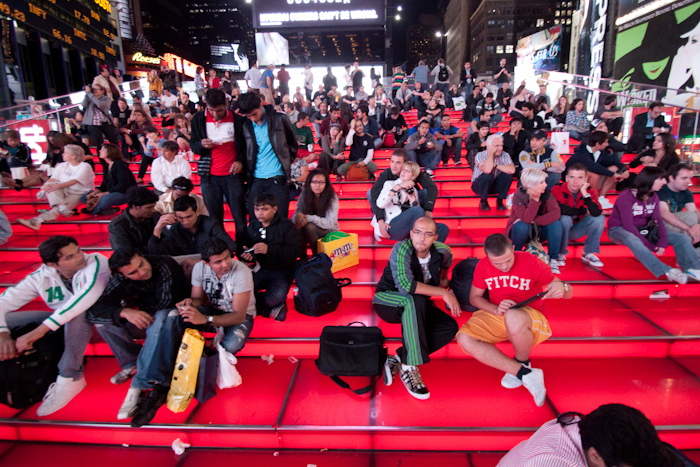 Here’s a stepped viewing platform, so tourists can get a better view of the advertising. 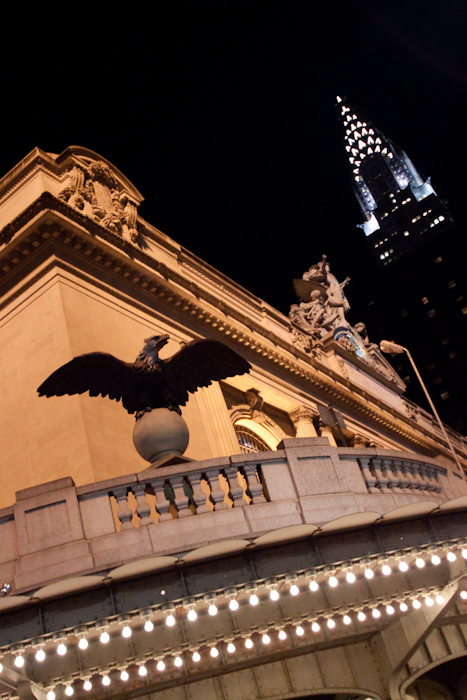 After eating a burger (burger eating will be a blog post all of its own) I walked over to Grand Central Station. Here’s a corner, with another city landmark in the background. 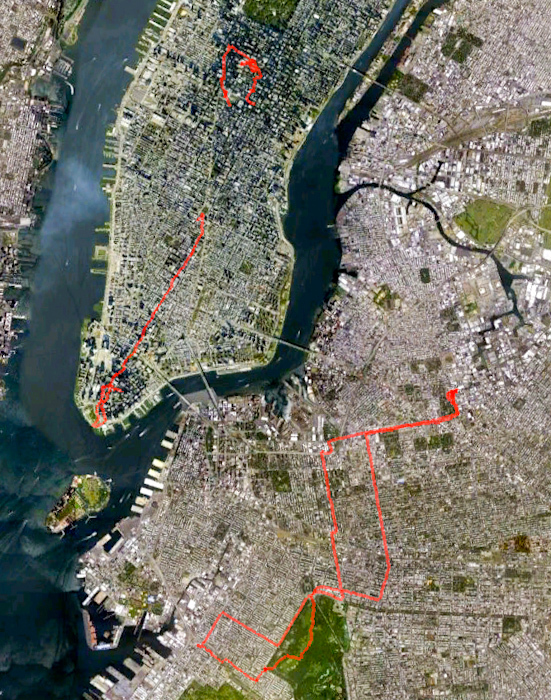 My bike route across Brooklyn, and the second part of my walk down Manhattan.